NIA CHARLESTOWN NEVIS (JANUARY 08, 2016) — Thirty-eight education leaders on Nevis are now better prepared to handle the new school term and calendar year, following their participation in a Department of Education two-day Education Leaders Retreat. 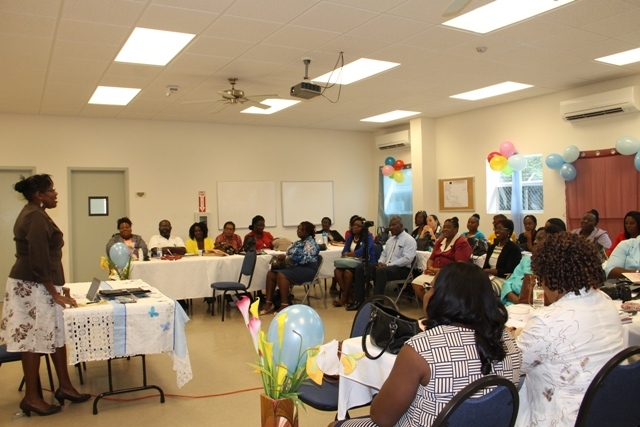 The event was held under the theme “Empowering Effective Leaders” and ended at the Nevis Disaster Management Department’s Emergency Operating Centre at Long Point on January 07, 2016. Participants were drawn from every sector of the island’s public and private schools. According to Palsy Wilkin, Principal Education Officer (PEO) in the Department of Education, the retreat was designed to provide opportunities to strengthen rapport and communication between school and department leaders; engage participants in activities to build team-work and decision-making skills; share strategies to improve managing multiple demands in Education and to build staff morale and cohesiveness. “We are trying to strengthen the team of educators. This is very important. 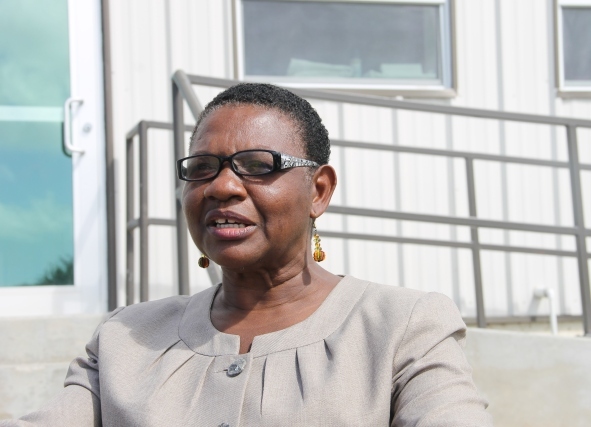 In education, it involves a lot of teamwork and so we have to get everybody together, make sure that everybody is on the same page; everybody is on board with what we are doing so that we can strengthen those bonds,” she said. The PEO said the retreat was not like previous training exercises. Participants were away from the school environment and had the opportunity to reflect on where they came from, where they were, where they were expecting to go and how they plan to get there. Wilkin applauded the response from the participants and noted their appreciation and willingness to discuss challenges they face in their day-to-day activities at school. She said they were exposed to activities promoting team building, open discussions, interaction and group work and she is pleased that the outcome that the department was seeking was accomplished. The facilitators for the retreat were former Principal Education Officer Mrs. Hyleta Liburd whose presentation was on strengthening the bonds between the Department of Education and the schools; School Principal from St. Kitts Mrs. Emilita Warner-Paul who shared her experiences at both secondary and primary schools. Other sessions were done by various Education Officers at the Department. 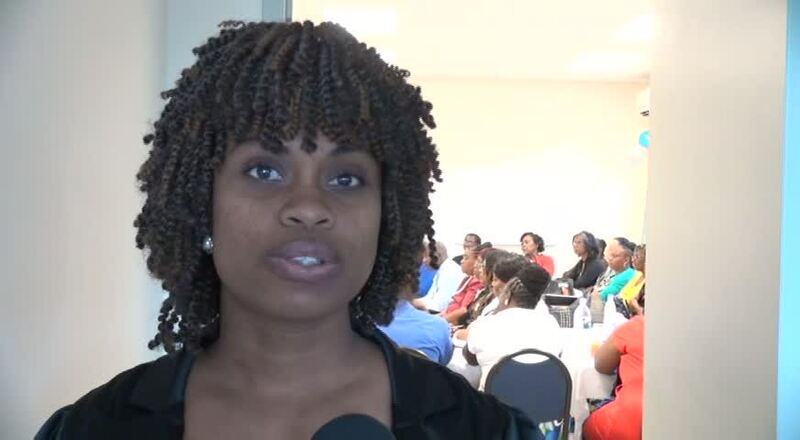 Meantime, Principal of the Charlestown Primary School Latoya Jeffers commended the Department for the innovative idea of a principal’s retreat. She described the experience as enjoyable and a learning opportunity for her and her colleagues. “I’ve learned a lot. We’ve had a chance to really socialise with each other. We had a chance to really get some information as to how to help us to deal with our daily jobs and, trust me, it is demanding,” she said. Jeffers used the opportunity to thank the Department of Education, on behalf of the participants, for what she said was a wonderful experience.